With its 1080p Sony Exmor CMOS Sensor FHD Front camera, this entry-level unit has upgraded optics for superior day & night vision. It also features Safety Camera Alerts when connected to an external GPS antenna, providing drivers with regularly updated information on verified speed camera locations and known mobile speed traps. CMOS Image Sensors allow constant Full 1080p HD resolution recording during both daytime and nighttime. The F100 utilizes the FAT (File Allocation Table) system. This allows THINKWARE’s proprietary Format Free Technology to eliminate the need for periodical manual formatting of recorded video files on the microSD memory card. It also helps extend the life of your memory card. You can view recorded video files on any PC without having to worry about converting files. 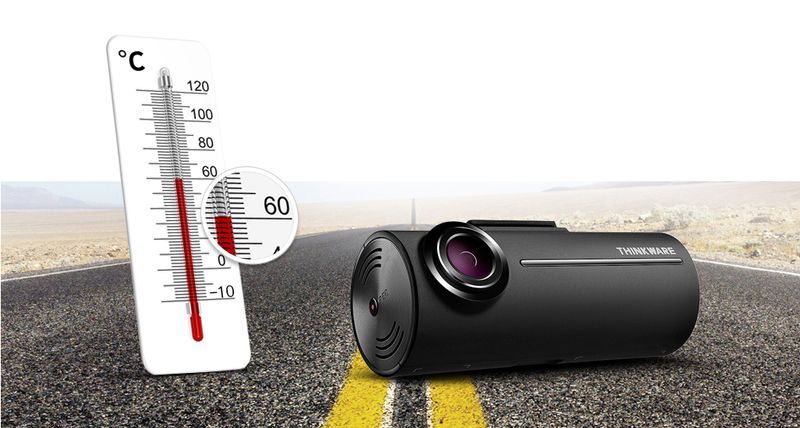 THINKWARE DASH CAM F100 saves the hassle of manually clearing memory space. This mode is activated automatically when you start the engine. Recorded videos are saved in one-minute segments with an auto-looping mechanism. The Active Impact Monitoring System will automatically store the video data ten seconds prior to and after a collision registered by the 3-axis G-Sensor. Similar to a video camera, you can use the Manual Recording Mode to capture events that occur in front of your vehicle whether or not it is in motion. 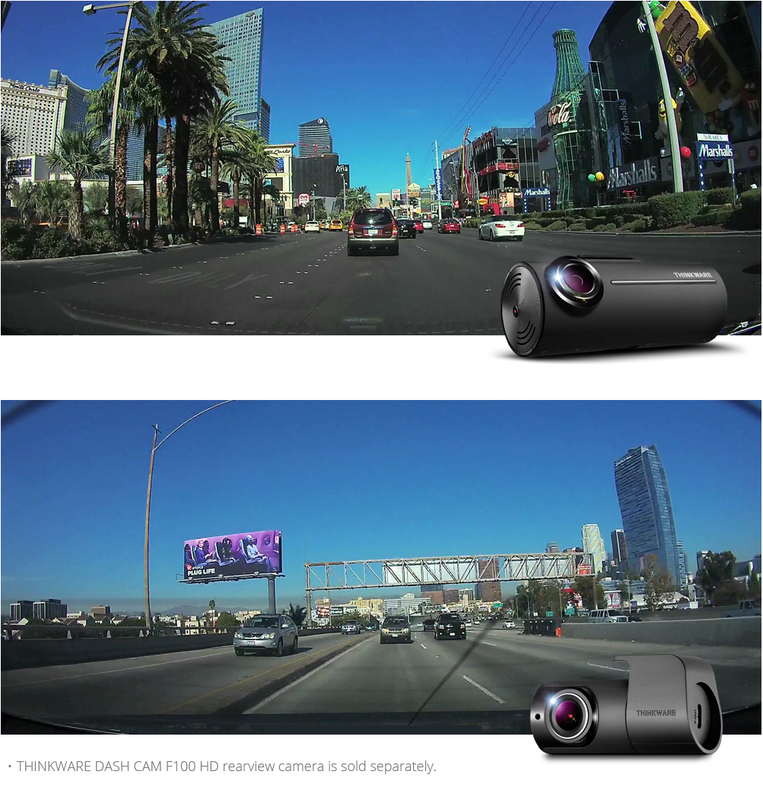 The intuitive and simple-to-use interface of THINKWARE DASH CAM allows you easy and convenient viewing of your recorded videos. Through PC or Mac viewer, you can playback and download recorded videos along with your route history and speed record. You can also change the dash cam settings, format the memory card, or install updates with just a few clicks on the viewer. With the optional GPS Tracker, the THINKWARE DASH CAM F100 can record the vehicle’s driving speed and provide its precise location and routes identification on the map. 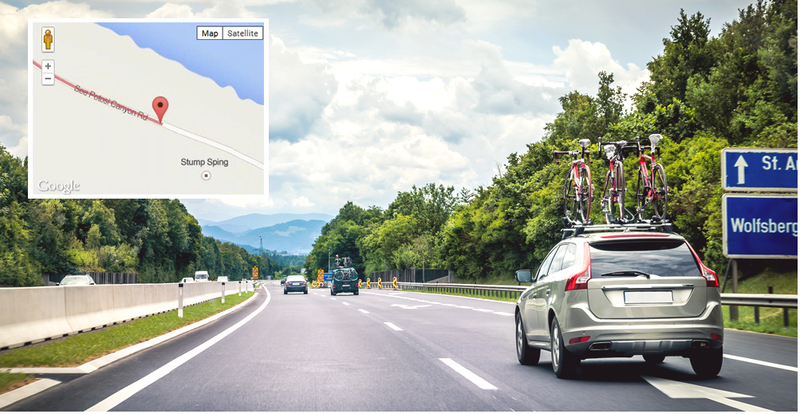 The GPS Tracker helps you to accurately assess the details of the surrounding area by providing you with the vehicle speed and the time of a collision, and the severity of an impact. 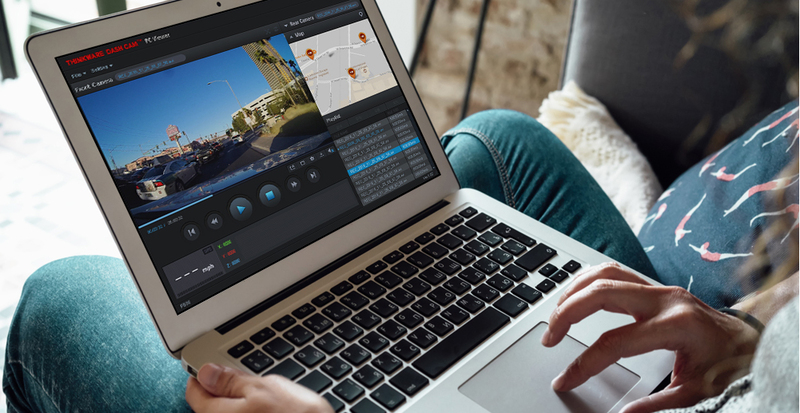 The video recording feature not only stores driving footages in case of an event, but it can also be used to track your holiday travel routes. * The video recording feature is only available when using the GPS Tracker accessory sold separately. The specially designed heat discharge construction and the built-in thermal sensor of the F100 protect the device and its data against intense heat by automatically turning it off to prevent overheating. In the event that the power gets disconnected after an accident, the fail-safe recording uses the Super Capacitor for backup power to ensure safe storage of any recording in progress – so you can be assured that your valuable data will be securely stored under any circumstances. I’d recommend Codeblue’s solutions to any company. Working with Codeblue has led to massive savings in time and fuel. Working with Codeblue has made managing our mobile phones a breeze. Every time I have needed any advice someone is always happy to help. Takes the hassle out of the telecoms market. I was able to trust Codeblue to handle the issues for me. You leave us alone but are always there when we need you. Service has been great so not sure how you improve this from my point of view. One less thing for me to have to deal with. No pushy salesman, nice to deal with, get back to you punctually. Customer service is great, could not ask for more. We feel very valued as a customer.